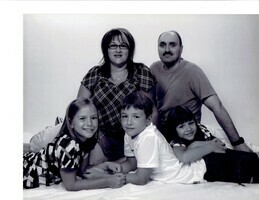 Provide comfort for the family of Gary Paul Shea with a meaningful gesture of sympathy. Passed away peacefully at Lakeside Homes, Gander on Monday, March 18th, 2019 Gary Paul Shea, age 46. Predeceased by his father Rankin Shea. Left to mourn with loving memories are his Mother Dulcie, wife Jennifer (Nee- Stuckless), son Kirklin, daughters Taylor, Ashley all of Glenwood, brother Tony (Diane) of Appleton, sisters Lisa of Gander, Colleen (Jack), Nancy (Dean), Tina (Shayne) of Glenwood, nephews Stephen Peckford (Taylor), Kyle Rowe, Carter Ward, Troy Rowe, Liam Rowe, niece Cassandra Ward, parents-in-law Seth and Ivey Stuckless, sister-in-law Lori-Ann Ward (Jeremy) and a large circle of relatives and friends. Family will be receiving friends for a celebration of life on Tuesday, March 19th from 7:00 P.M. – 9:00 P.M. and Wednesday, March 20th from 2:00 P.M. – 4:00 P.M. and 7:00 P.M. – 9:00 P.M. at the Pentecostal Church, Glenwood. Funeral service will take place on Thursday, March 21st at 2:00 P.M. Interment will follow at the Anglican Cemetery, Glenwood. Flowers gratefully accepted or donations in Gary’s memory may be made to the Shea Family. 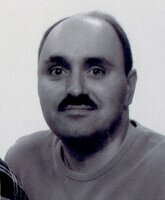 To send flowers in memory of Gary Paul Shea, please visit our Heartfelt Sympathies Store. We encourage you to share your most beloved memories of Gary Paul here, so that the family and other loved ones can always see it. You can upload cherished photographs, or share your favorite stories, and can even comment on those shared by others. Dwight, Joanne, Hayley and Mikayla. Xo sent flowers to the family of Gary Paul Shea. Working night shift with Gary at the Mill was only possible due to his humor and antics, those are the times with Gary I will never forget. My sincerest condolences.